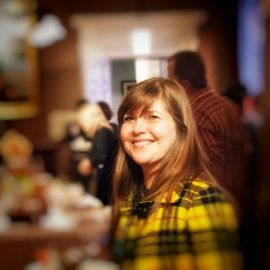 The new role will see the founding director of the Skye-based organisation heading up art exhibitions across Royal Botanic Garden Ediburgh sites in Edinburgh, Benmore, Logan and Dawyck and includes Inverleith House gallery at the Edinburgh garden. 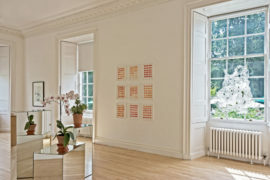 When Inverleith House closed to the public last year, Royal Botanic Garden Edinburgh said it no longer intended to use it as a gallery for contemporary art. Now, as it hosts its first exhibition since the closure, Regius Keeper Simon Milne has said reports of its demise were just a “rumour”. Neil Cooper takes issue with this rewriting of history and cautions that the fight to truly save this renowned Scottish art gallery is far from over. A new exhibition opens at Inverleith House later this week as part of the Edinburgh Art Festival, nine months after the gallery closed amid protests from artists and curators. We preview the show and highlight some of the exhibitions, commissions and events included in the festival programme. 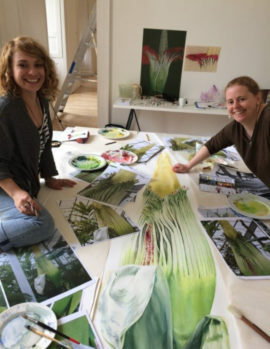 The decision by the Royal Botanic Garden Edinburgh to close the gallery after over 30 years of exhibitions has prompted a storm of protest from artists and those working in the visual arts, with the latest ‘mass visit’ designed to keep the pressure on. 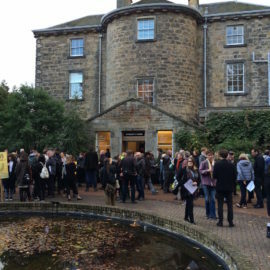 Scottish culture secretary Fiona Hyslop has intervened in the protests over the recent closure of Inverleith House gallery in the Royal Botanic Garden Edinburgh. An open letter signed by artists including Tracey Emin, Douglas Gordon and Ed Ruscha, as well as the actors Val Kilmer and Ewan McGregor, has called on the board of the Royal Botanic Garden Edinburgh to reopen the recently closed Inverleith House as a gallery for contemporary art. The arts community in Scotland and beyond has responded to the shock announcement that Edinburgh’s Inverleith House gallery is to close, with a petition calling for the decision to be reversed.